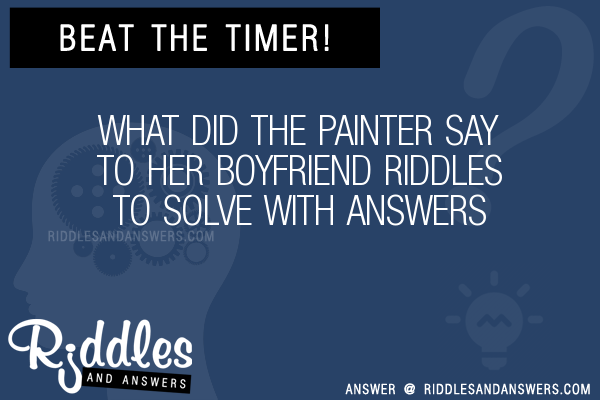 Here we've provide a compiled a list of the best what did the painter say to her boyfriend puzzles and riddles to solve we could find. The results compiled are acquired by taking your search "what did the painter say to her boyfriend" and breaking it down to search through our database for relevant content. What did the painter say to her boyfriend? I love you with all my art.